I bark orders to get my three kids—seven-year-old daughter Rio and twin three year old boys Asher and Nolan—out of the house to their friend’s birthday celebration. We race off and arrive at the party just on time, if a little frazzled. I say hi to the hosts, grab myself a cup of coffee—or better yet a glass of wine—then sit comfortably on the sidelines. I chat with the other parents, waving to my kids and cheering them on every few minutes as they navigate all of the party activities with ease. We have a great time. That birthday party scene I’ve just described is not actually my life—that’s my life the way I envision it would have been. The reality is quite different. First there’s the planning. After I work up the nerve to actually go to the party, a last minute string of texts pass between me and the hostess to review everything. I need to know exactly what supplies to pack for Asher, so he can be as included as possible, not to mention to ease the physical strain on me. Then there’s the act of leaving the house. The boys cannot march themselves around and follow my orders: dressing, feeding, carrying them—I do it all. Thank goodness Rio is self-sufficient and I no longer care if her clothes match. By the time I’ve got them all ready to leave, I’m exhausted and it’s not even noon. Miraculously, we do arrive at the party on time, but I’m more than frazzled. Before I even get to the front door, I’m sweating. I have a forty-pound Asher on one hip and his portable chair on the other. Parents immediately comment in concern that Nolan keeps falling. I shrug it off—that’s what Nolan does. I quickly scan for the closest place to sit down and try to ignore the feeling that everyone is looking at us. If I fixate on that already, I’m doomed. I then seek out the easiest activity to set the kids up with. Will I attempt to let them on the bouncy castle? Can they easily play at the sand table? Or maybe I should start with food first? 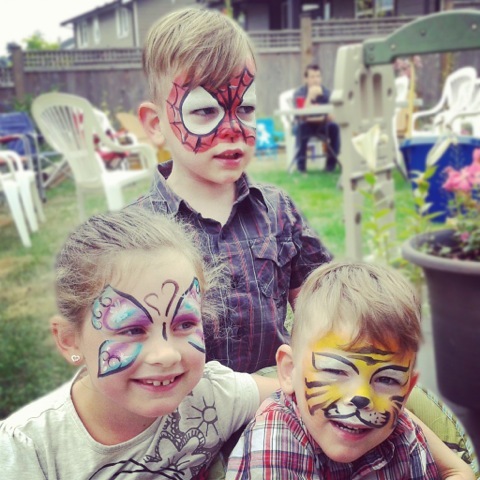 Feeling overwhelmed, I take a deep breath and settle on face painting—an easy way to start. The party goes on, and although I avoid making small talk with the other parents, I manage to have a nice time in spite of myself. I’m proud that I came without my husband’s extra set of hands and calm demeanor, knowing that with every outing I’m becoming more proficient at handling the boys’ needs with relative ease. Then, quickly and without warning, it happens: I start to unravel. I notice a set of healthy, full term twins—a touchy subject for me because of my twins’ premature birth. 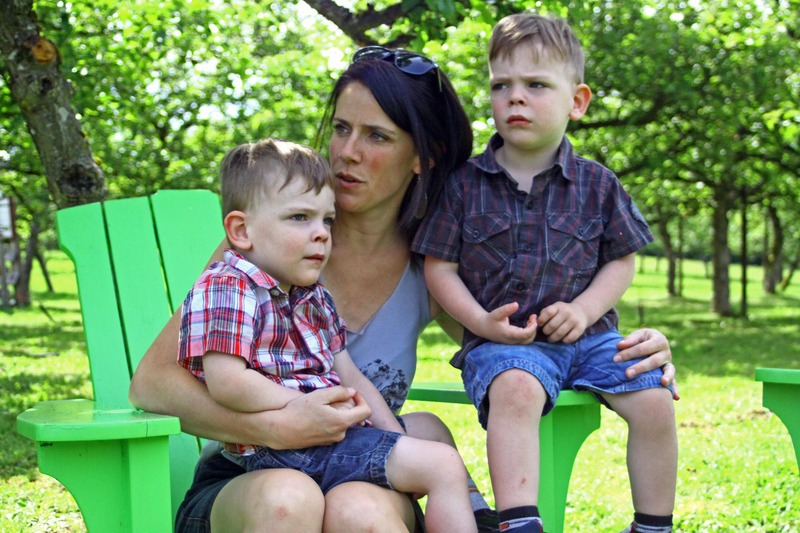 I fixate on their dad and listen to him talk about the difficulty of getting the six-month-old babies out of the house with “the logistics of it all.” When my boys were six months old, they were just newly out of the hospital, sheltered from people and germs. Now they’re big heavy boys with a physical disability, and often their care is more difficult than when they were babies. I wish for the ease of the “logistics” that are apparently so difficult for him. With that otherwise innocent bit of eavesdropping, the illusion that I could fit in at this party is broken, and I feel panic start to set in. All of my own sensitivities are now heightened, and I’m sure everyone is watching the boys. I shouldn’t be so self-centered; I bet most people haven’t even noticed us. I know these are my issues, no one else’s, but that doesn’t make them any easier to deal with. Fighting tears, I hurriedly say my goodbyes and drag my kids away. They’ve had a fantastic time and thankfully they’re oblivious to how their mom feels in social situations like this. I long for the simplicity of something like a birthday party actually being just a party for me. I wonder if it ever will be? 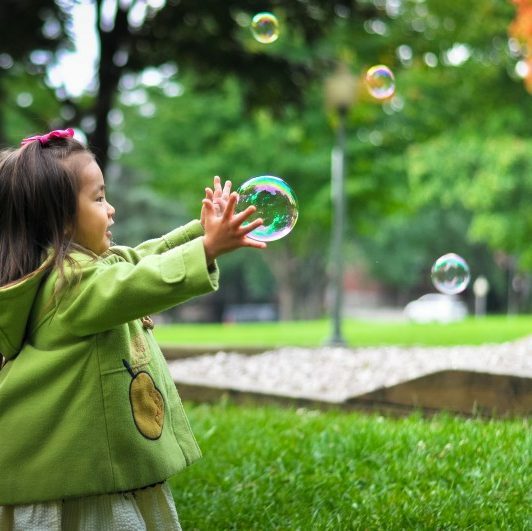 Thank goodness for my kids it is—and that’s all that matters. Her blog, www.traceytrousdell.com, is a sometimes funny, sometimes heart-wrenching, all-the-time authentic look at her family living life to the fullest through adversity. Dear Tracey, I am glad I read this about it not being “just a party” to have some further insight and compassion for your life. You are amazing and I am sure you are helping lots of other mothers out there that find it hard to put it all into words. I hope we will see you soon with your lovely children and your husband.